When you are asking how to scan stocks for day trading then you should make use of a stock volume scanner which will show you great candidates that have been trading at high volume over a set period of time. 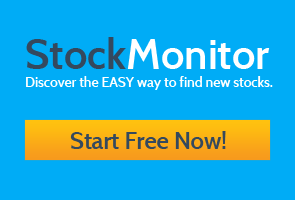 Inside StockMonitor we have our own stock volume screener which can help, and you can adjust all the settings to make it your own. Here is how to get started. (or watch our video at the end of the post). 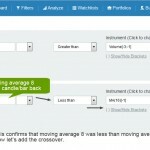 First you can use a lot of volume pre-set scans that are already built into our platform. For this particular scan you maybe want to detect stocks that have higher volume than the last 30 day average. We have a few variations on this as you see in the image below. If you pick one you can check the stocks it has detected, this should begin to give you a list of stocks for day trading that you can begin to save in watch lists. From the mini charts that appear under the filter box you will be able to check the charts and decide if you want to watch it or not. 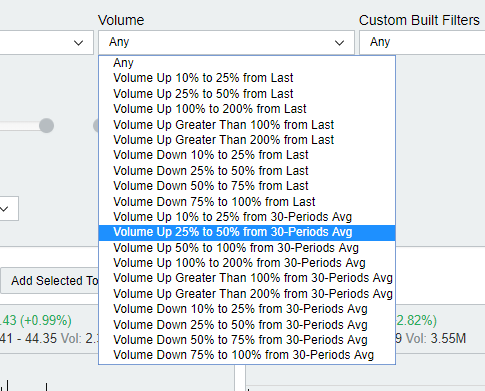 Rather than keep selecting different filters to find stocks 25%, 50% or higher than 30 day average volume, you can edit any one of these easily and make a custom filter. Select any filter and you will see a green edit / clone icon appear. Click on this and it opens the edit page. On here you can adjust any of the parameters and save it as a unique custom built filter. This will then be available in the “Custom Built Filters” box on the main filter window. 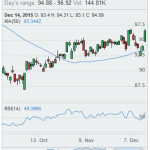 Now when you run this you may want to only see stocks that are above a dollar value. Some who are day trading like to trade higher value stocks (but some don’t!). See on our video at the end. 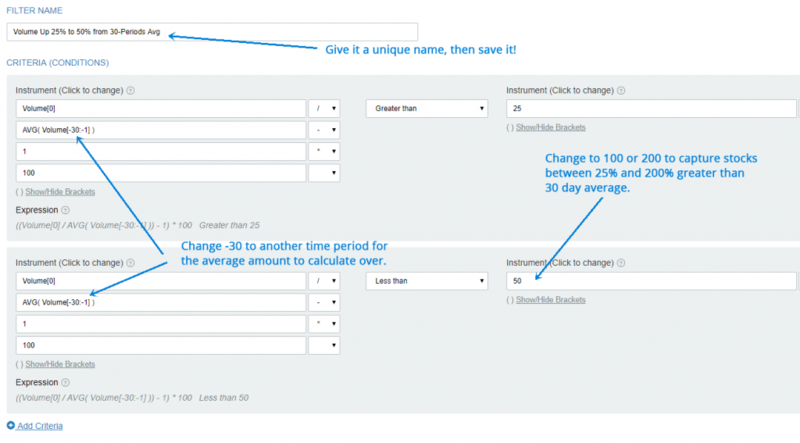 But you can also select a second filter from our Price / Gaps/ Breaks box to add to your custom built filter. 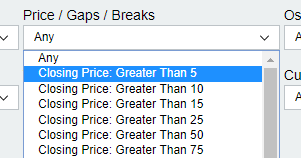 You could choose “Closing Price Greater Than 5”. You would now only see stocks which have between 25% and 200% higher volume than 30 day average AND price is 5 dollars or above. There are many other criteria and filters you can add. Then add them to your watch lists. Select the check boxes next to each result you want to monitor and add to a new watch list that contains your stock volume scanner results. This will build you a nice watch list for day trading. Check the video below and take a completely free 14 day trial.